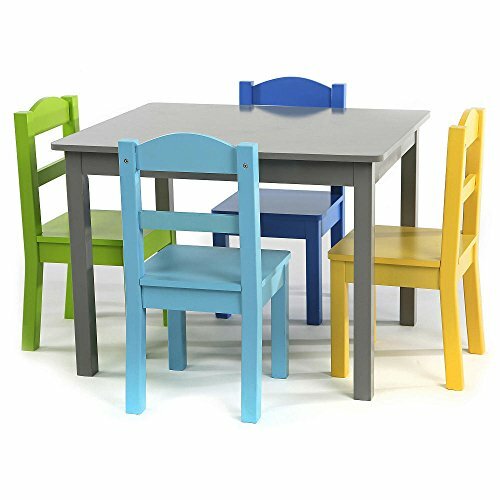 Tot Tutors Elements Grey Wood Table and 4 Colored Chairs Set by Tot Tutors at Indsight. Hurry! Limited time offer. Offer valid only while supplies last. Sturdy construction. Durable and easy to clean. Easy to assemble.